Obesity in America is becoming an epidemic that could lead to a health crisis for people of all ages. According to the American Heart Association, millions of adults and children are suffering from what is now classified as a disease. If you find yourself among the millions struggling with their weight, you understand. It’s a vicious cycle as the pounds add up. It is difficult to become more active because your weight is dragging you down. When your weight keeps you from doing the things you love and your health starts to suffer, it can make you miserable. When obesity in America hits close to home and you become the victim, it can be hard to find a reason to keep fighting to take control of your weight. What is Classified as Obesity? Your body mass index is the main figure that is used to determine if you are obese. According to the Centers for Disease Control and Prevention, you are considered obese if your body mass index is at least 30. Insurance providers usually consider clients to be obese if their body mass index is over 40. However, they will include those with a body mass index of over 35 if there are other weight-related health conditions that could threaten their lives. In the end, determining if you are obese will depend on your weight, your body mass index, and your overall health. When your weight gets to the point that you are facing a health crisis that could shorten your life, you are facing obesity in America in your own life. Why is Obesity on the Rise in America? Obesity is becoming a growing problem for Americans of all ages for a variety of reasons. Many people are becoming less active. With advances in technology, mobile devices, and computers, no one needs to get up to do anything anymore. They can push a button to turn on their television or radio. They can go shopping by surfing online. They can take a car to get anywhere they have to go and park as close to the store as possible. Fast food and processed foods are another major part of the problem. It costs less to eat junk food. Fast food restaurants have something quick when people are on the go. Microwaved products are easier to prepare than a home-cooked meal that includes fresh food. Even genetics are part of the underlying cause of obesity, making some individuals more prone to obesity. As people age, obesity can become a problem as their bodies begin to slow down. Economic background and social issues can make some members of society more likely to struggle with weight than others. Regardless of why it is happening, you know that obesity in America is a major issue. It has to be tackled and it can begin with you. How Can You Overcome the Rising Number of Obese Americans? Education is where the war on obesity has to begin. Parents must learn how to establish a healthy environment and positive choices in the home. They need to teach their children what kind of lifestyle choices have to be made in order to maintain a healthy weight. Schools can be a part of the effort as well, teaching children to become more active and offer them wise menus at lunch. Doctors need to be proactive, advising parents when their children are at risk of developing obesity. They need to be aggressive in addressing cases of obesity in their older patients as well. When it comes to your personal struggle with obesity, you need to reach out. You need to turn to professionals in the medical field to help you find your way to healthy living. This includes learning what to eat, how often to eat, and how much you should eat each time that you have a meal. You also need to learn how to embrace an active lifestyle. That means taking the stairs whenever possible, riding your bike, and parking at a good distance from your final destination so that you have to walk. Include walking as part of your exercise plan. It’s the perfect starting point for someone who is obese because it is low impact and you can adapt it to your level of tolerance. When you become stronger, you can start walking more. Consider prescribed supplements from your doctor and a nutritional plan that is supervised by a therapist. If none of those efforts have lasting effect, it may be time to consider bariatric surgery. Bariatric surgery can help you lose excess pounds by restricting the amount of food you can consume in one sitting. Even with surgery you will need to make wise decisions about what and how much you are eating in order to get the best results. 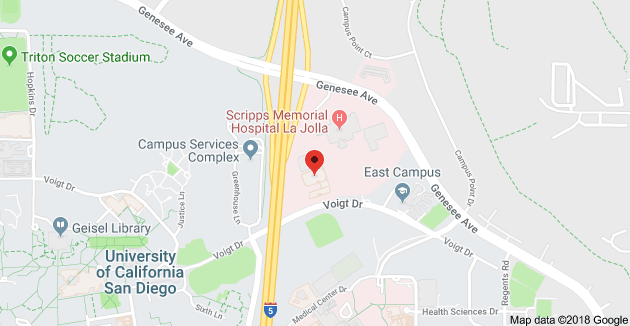 You can learn more about your options and the lifestyle adjustments that come with bariatric surgery by viewing our free bariatric surgery seminar online. 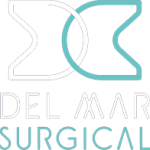 Decide to overcome the disease of obesity in America and let the compassionate experts at Olde Del Mar Surgical help you achieve success.